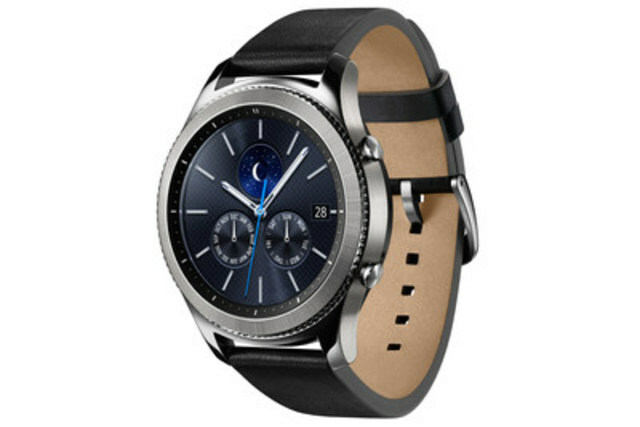 MISSISSAUGA, ON, Nov. 23, 2016 /CNW/ - Samsung Electronics Canada Inc. announced today the Canadian availability of the Gear S3, a smartwatch that has the aesthetics of a traditional watch with advanced mobile technology built seamlessly into the design. 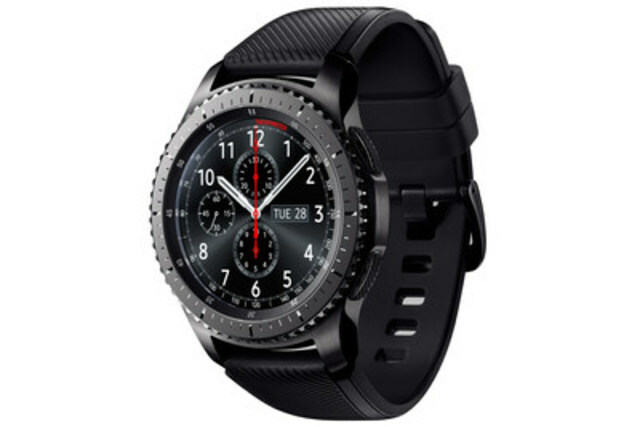 The Gear S3 infuses the craftsmanship of a classic watch design into a modern smartwatch, offering features such as a built-in GPS and speakers, Bluetooth capabilities and IP68 water resistance*, designed to do everything you do. "The Gear S3 smartwatch merges style and traditional watch design with the latest innovation technology," said Paul Brannen, COO and Executive Vice President, Samsung Electronics Canada. "We are excited to continue to expand our wearable portfolio that together, with the Galaxy S7 family of devices, helps Canadians truly live connected." From work to weekend escapades, the new Gear S3 is designed to accommodate both the style gurus and adventure enthusiasts. Both versions are framed with Samsung's signature rotating bezel and the crisp watch faces feature a full colour always-on display making it easier and more convenient. Designed for the active soul, the Gear S3 frontier evokes a rugged outdoor look with a durable style that blends form and function, ideal for any environment. The Gear S3 classic is inspired by iconic timepieces and was designed with meticulous attention to detail – with its size and shape chosen to attain the same consistency and balance of a well-crafted luxury watch. Resistant to water and dust: In addition to its sleek look, the Gear S3 is rated IP68 so it's able to withstand dust and dirt. In addition, the Gear S3 can withstand up to 1.5 meters for up to 30 minutes under water so users can get through their day, regardless of weather conditions. Take and make calls: Thanks to the Gear S3's built-in speaker, users can take and make calls easily. Not to mention, checking voicemails and hearing alarms is now convenient. Songs on the go: The Gear S3 has 4GB of internal memory so users can listen to their favourite tunes freely and due to Bluetooth capability, users can drop the weight of their smartphone by pairing it with a Bluetooth headset or through the built-in speaker. Equipped to explore: With the built-in GPS on the Gear S3, smartphones can stay tucked away, enabling users to explore with ease. With the Gear S3 accurately monitoring daily fitness activities, you can get fit and stay connected while on the move. Thanks to the altimeter, barometer and speedometer, users can track altitude, speed, and plan for the weather. The Samsung Galaxy Gear S2 and Gear S2 Classic are offered through major retailers and Samsung Experience Stores, retailing at $319 (MRSP) for the Gear S2 and $369 (MRSP) for the Gear S2 Classic. The Rose Gold and Platinum additions are available at Samsung Experience Stores and retail for $369 (MRSP). ** Battery life may vary depending on usage and settings. Based on laboratory testing. ***Wireless charging dock sold separately.